Roof damage, most of the time, is due to extreme weather conditions or other natural causes. However, human error or the neglect of homeowners can also sometimes cause it. Below is a list of the things you should never consider doing to your roof. Do not pressure-wash your roof. Keeping your roof clean is important in its maintenance. But if you decide to do it yourself, pressure washing should be avoided at all costs. Did you know that one of the most common causes of roof damage and early aging is improper washing? It’s kind of ironic, right? This is because of the repeated application of harsh chemicals partnered with high pressure. When you think about it, it’s really just simple science. Erosion is a common process in surfaces – it is part of its lifespan. Remember that water erodes rock over time. The same thing also happens with the asphalt that’s applied on your shingles. Add to that the highly pressurized water and you’ve got a formula for disaster. The presence of erosion considerably reduces the lifespan of your roof which may even result to roof leaks. Do not let mold or mildew accumulate on your roof. While you may want to be careful with what you do to your roof, you may also want to take into consideration what you don’t do to it. Mold and mildew spread quickly, especially when it is wet outside. Most homeowners consider mold and mildew as eye sores, but what they don’t know is that these also affect the condition of their roofs. It’s best to hire professionals to clean and remove any signs of mold and mildew on your roof. This way, you can avoid damages or discoloration. Do not patch any leaks. Do not even attempt to fix roofing leaks on your own. Remember that the presence of even just one leak will surely mean that other parts of the roof are affected too. When in doubt, call your preferred roofing expert! They are well-equipped to take on issues related to leaks. Plus, they will be able to tell you what caused them before doing any repairs. Do not walk on your roof EVER. If you think that there’s a problem on your roof, do not even think about climbing up on it. You are at risk for falling the minute you step on your roof. Note that every time you step on the asphalt shingles on your roof, it’s likely that you will dislodge them. 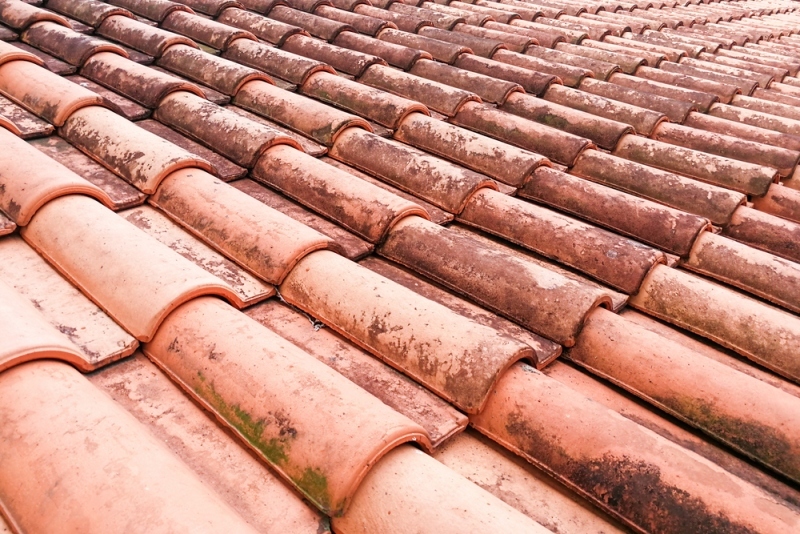 This may result to a leak, which might worsen the condition of your roof. Should there be a need to climb up on your roof, it’s best to call a professional. They are trained professionals and can prevent any accidents or further damage to your roof. Bottom line is to call your preferred roofing company for any concerns on your roof. Call an expert roofer who will gladly assist you with your roof issues today! Written by True Son Exteriors, the best contractor for roofing in Columbia, MO.